When we’re not in the field, my dogs get fed premium dog food twice a day. Normally I don’t even need a clock in the house because they start getting antsy when meal times near. I think this is why it’s so confounding that when we go hunting their interest in food is trumped by their will to hunt. The dedication to birds is admirable. 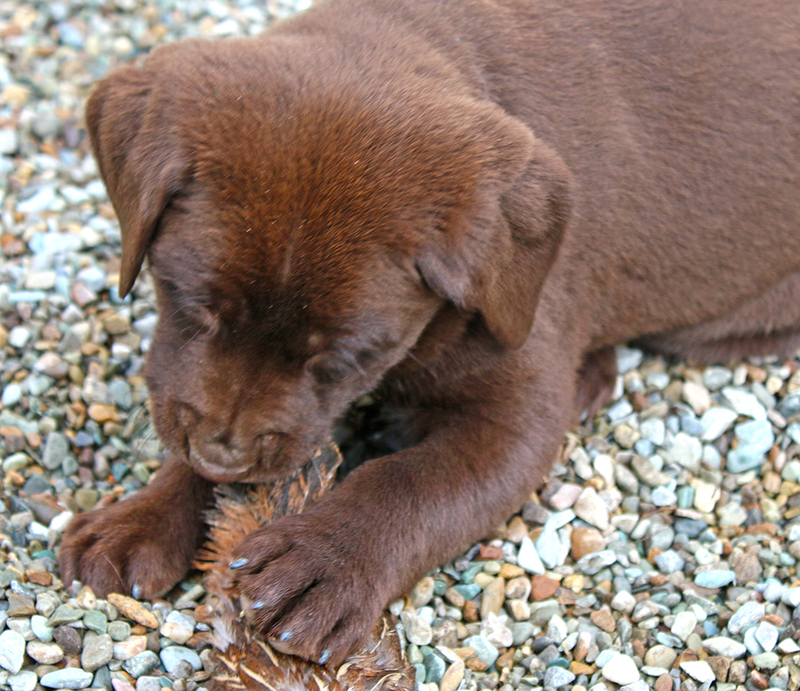 But we hunt hard and often for extended periods of time, so if the dogs don’t eat it impacts their energy level. 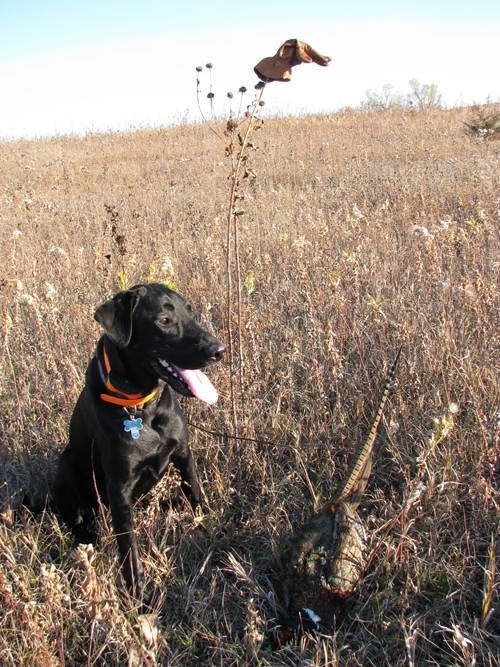 Last season when we embarked on our epic 90-day bird hunt across seven states Wyatt was a two-year-old 68 pound lab. When we rolled back into town at the conclusion of the trip he weighed 55 pounds. The weight loss was after free feeding him as much as he would consume and trying all kinds of foods and treats to increase his calorie intake. I tried anything and everything to stimulate his appetite yet he still managed to drop 20% of his body weight during the hunt. I started doing research in the off-season to figure out how I could better serve the nutrition needs of the dogs when we are afield. There are opinions everywhere with varied and opposing suggestions. Instead of relying on other’s speculation I elected to take a common sense approach based on my own experience. When we began the hunt this season in Nevada, I tried experimenting with feeding Wyatt at different times of day. Normal off-season feeding times are once at first light and once around 6 PM. The issue with feeding at first light when hunting is that he’s so charged up to get in the field that he has very little interest in eating. And the normal evening feeding time often comes right on the heels of sunset and just as we’re wrapping up hunting. By then Wyatt is so warped from exercising all day that hunger again takes a backseat. What I found with trying different schedules is that if I made the first hunt of the day somewhat brief, all that nervous energy would be gone and Wyatt would be more willing to eat a full meal at mid-morning. And at the conclusion of the day, if I allowed him to rest and wind down first and move back his feeding time, again he was more likely to eat. But even with an improved schedule, getting him to consume enough food to replace the calories used was difficult. In the off-season his diet consists of about four cups per day, and he maintains a healthy weight. When hunting he needs about double that. 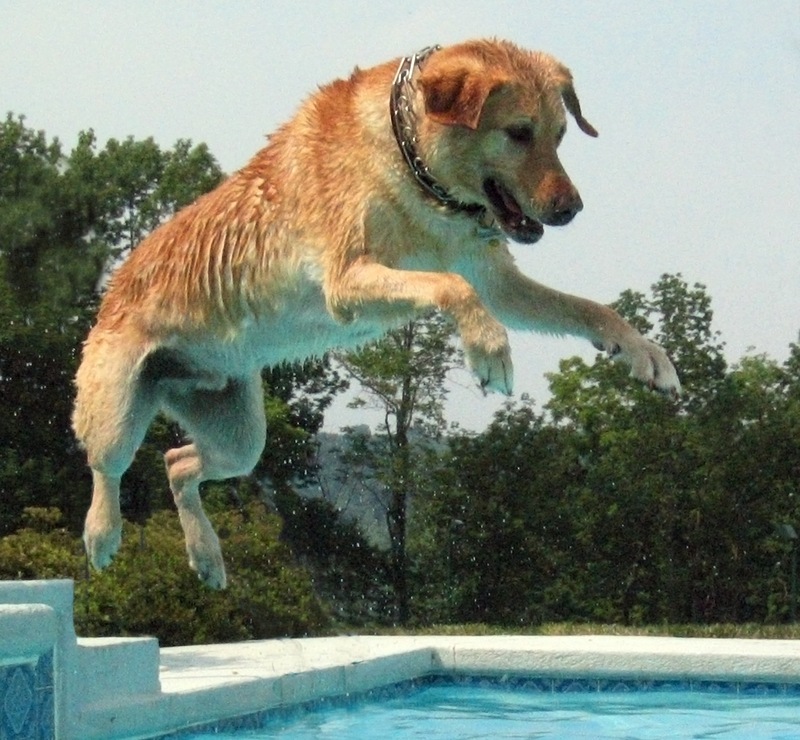 The average premium dog food contains around 400 calories per cup. It’s tough enough to get him to eat four cups per day while hunting, but impossible to make him eat the eight cups and 3,000+ calories per day that I estimate he’s using while working. 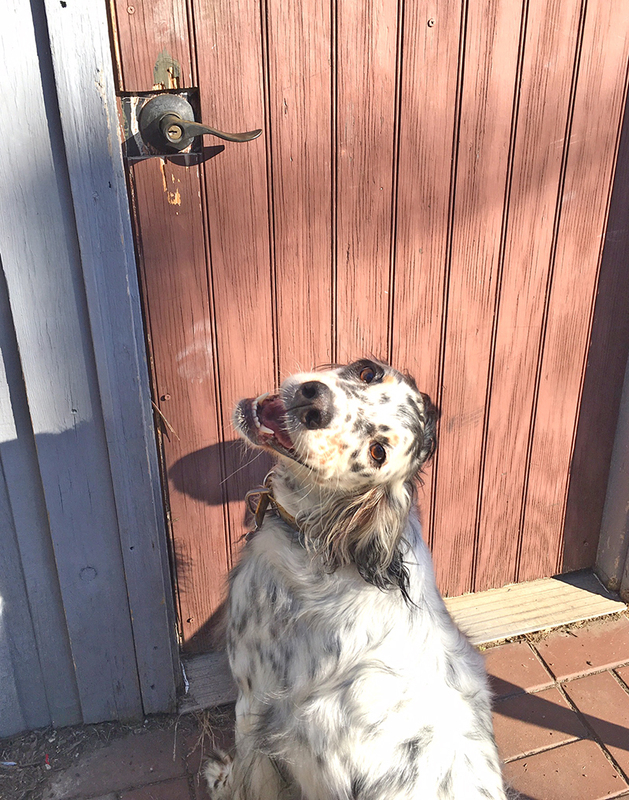 Metabolic rate equations are all over the internet which can help you determine the metabolic energy rate of your dog, but this site has a nifty calculator and all you need to know is the dog’s weight and it does the rest of the work for you. Knowing that I can only get Wyatt to consume a maximum of six cups per day while hunting means our normal dog food will only replace 2,400 calories. Therefore I knew I needed an alternative to “normal” food so I began researching high calorie dietary supplements. That’s how I came across Blackwood ExPro; It’s a super premium food made with quality ingredients that has 545 calories per cup which is 36% more than our everyday food. 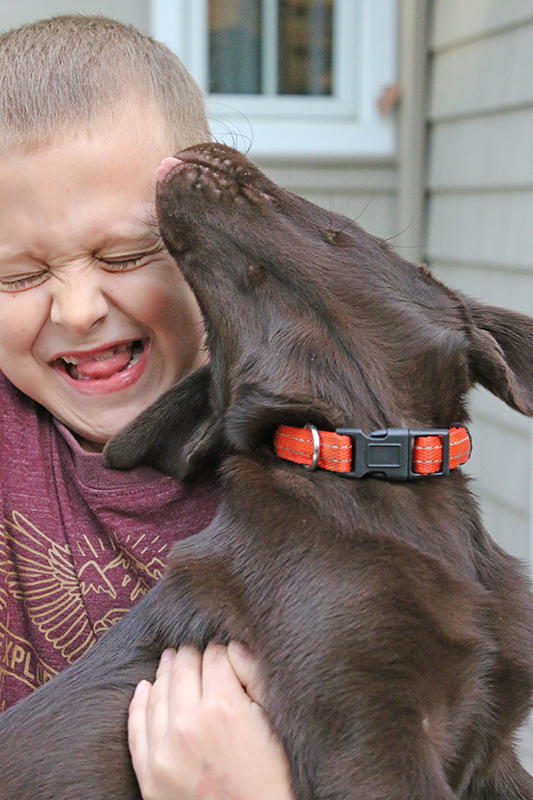 Supplementing with ExPro allows me to replace more of the calories that Wyatt was using without doubling the amount he had to eat. And because we mix it with his normal daily food it minimizes the risk of upsetting his digestive system. 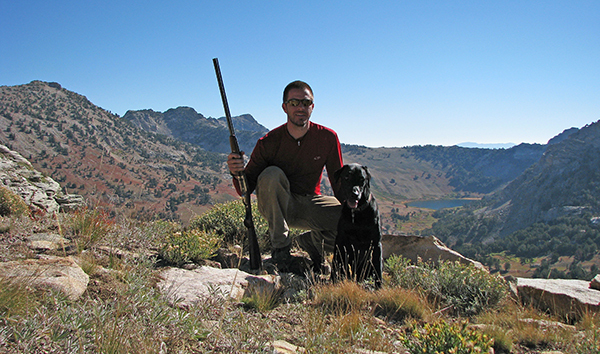 This year after returning from the largest part of our upland season I took Wyatt to the vet to update some vaccines. He weighed in at 64 pounds. Our new feeding system obviously works. Now we’ve instituted the new schedule for Rio as well with great success, though she’s a younger dog and extremely active so her resting metabolic rate is fairly high. I’ve adjusted quantities to account for her estimated calorie use too. I encourage you to experiment with feeding time and foods to find the equation that works best for your dogs. Once you know how many calories they use per day you can work backwards to try and get the best consumption that matches that output. 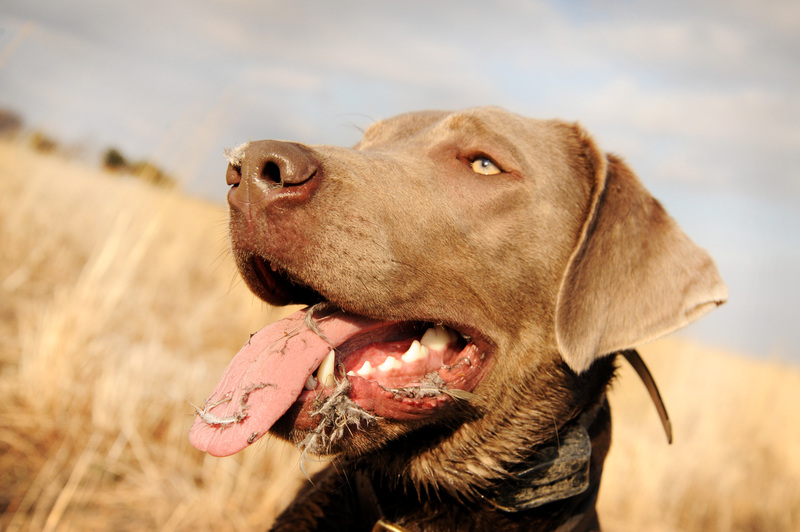 Better energy levels will surely improve the dog’s performance over the course of the season and should improve your hunting success as well. You can order Blackwood ExPro online if you’d like to benefit from the results we’ve found over the course of the season. Good info! As you know, Wesson will not even look at his food if he thinks we are going hunting. I’ll have to try your plan and see if it will work for him. Great article. I’ve been dealing with quite similar issues. My boys don’t even want to eat in the morning if there’s a chance the gun comes out. Not wanting to hunt them on a full stomach compounds the problem. I like your altered feeding schedule and will check out Backwood.